Leading lights from the world of literature, poetry, journalism and publishing feature in the line-up for the 20th North London Literary Festival later this month. Dame Professor Carol Ann Duffy Poet Laureate, crime novelist Patrick Redmond and journalist and broadcaster Yasmin Alibhai-Brown will be among the speakers joining the three day event. Hosted by Middlesex University between Monday 23 March and Wednesday 25 March, the UK's largest student-run literary festival will feature free readings, workshops, discussions and competitions for budding writers and bookworms. 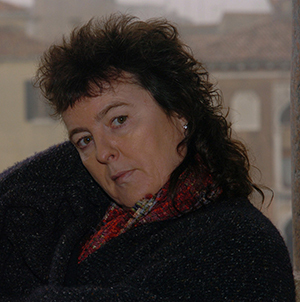 This year's keynote speaker will be the first female Poet Laureate Dame Professor Carol Ann Duffy, who will give a reading from previously unpublished material followed by a book signing. Scottish-born poet and playwright Carol Ann is one of the most recognisable names in contemporary British poetry, and continues to inspire generations of writers. Acclaimed novelist of The Quincunx and Rustication Charles Palliser will give a reading followed by an audience question and answer session, whilst international bestseller crime novelist Patrick Redmond will talk about his books, his inspiration and the ever-popular crime genre, ahead of the release of his fifth novel The Replacement. And in what is guaranteed to be a lively debate, award-winning journalist Yasmin Alibhai-Brown, columnist and writer Christina Patterson and broadcaster Kurt Barling head up a panel alongside Law Professor Eric Heinze to discuss what free speech means to them. Other highlights across the week include advice from leading literary agent Norah Perkins from Curtis Brown, Commissioning Editor in children's writing at Walker Books Mara Bergman, and readings from international poets Shanta Acharya and Fawzi Karim, and performance artist and poet Anthony Howell. The event will be broadening outside of the University campus this year, with a fringe festival at Oxfam bookshops in Islington, Enfield, Victoria and Balham hosting pop-up readings from creative writing students and graduates. Founded by novelist and former Middlesex University lecturer Sue Gee in 1996, the annual event is organised by third year creative writing students as part of their course. Middlesex University Lecturer in Poetry Dr Sarah Wardle, who is overseeing the event, said: "There's a great range of talent and activities on offer at this year's festival, from writing workshops and advice from a leading literary agent, to academic discussions, book signings and readings from some of the country's best known names from the world of literature. "As a poet, I'm thrilled Carol Ann Duffy will be reading to an audience at the festival, and that we have a session with international poets, as well as a longtime children's books commissioning editor. "We're also delighted to expand the festival and host our pop-up readings in Oxfam shops across the capital for the first time, which we hope will encourage the local community to be inspired by the students' creativity and talent." The festival is sponsored by Winkworth Estate Agents.